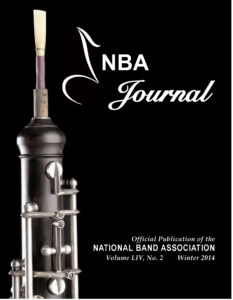 The National Band Association’s NBA Journal is the official publication of the association. Published quarterly, this magazine offers a variety of articles, research, opinions, and general information about our profession, our members, and NBA activities. National Band Association members are encouraged to contribute their written articles to this journal as a means of increasing the resource base from which our members draw data. Two issues are hard copy (Winter and Summer). 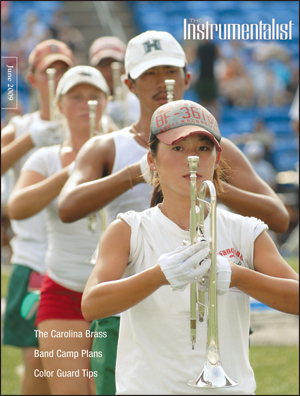 The Fall issue appears as an insert in the October issue of The Instrumentalist magazine. The Spring issue is an electronic issue. NBA Members have access to pdf copies of older NBA Journals. The Instrumentalist is an American monthly magazine for music educators — focusing on scholastic band and orchestra — and performing artists and composers. Founded by Traugott Rohner (1906–1991), its first publication was dated September/October 1946. Its original address was in Glen Ellyn, Illinois. The current holding company, The Instrumentalist Publishing Co., is an Illinois corporation, based in Northfield, Illinois, and headed by James (Jim) Traugott Rohner (born 1940), President, and his two children, Ann Rohner Callis and James Matthew Rohner. The three are Publisher, Associate Publisher, and Editor, respectively.